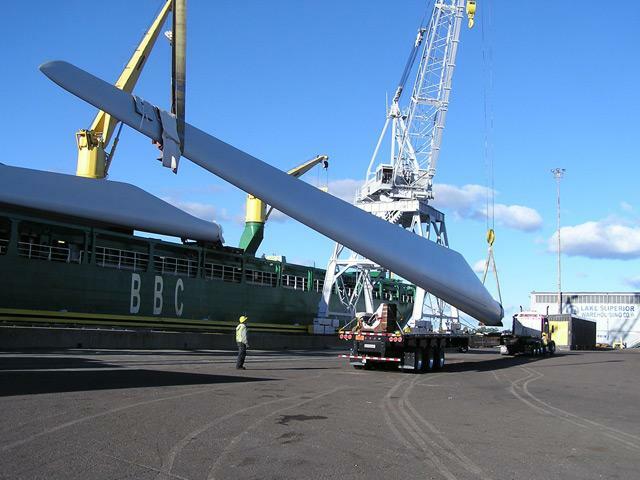 A wind turbine blade nearly 150 feet long is slung gently onto a flatbed at the Duluth port. A modified trailer is needed to transport the blade. The Detroit Free Press reports that a large scale wind turbine manufacturer plans to locate in Saginaw. Northern Power Systems of Barre, Vt., intends to use a facility in Saginaw to manufacture its next-generation large wind turbines, expected to be the first ones built in the U.S. using 100% American-made parts. Building wind turbines has been touted as a way to diversify a manufacturing base built around the automobile. Many auto suppliers in the state are also building parts for wind turbines. No report yet on how many jobs will be created. But the future of wind power is uncertain. Tax credits and grants to develop wind energy are expiring at the end of the year. And with an ethic of austerity moving into Washington, there are little signs that they'll be renewed. "This is not a great place to be in," said Denise Bode, "It's an economic opportunity that will be missed." But there are some policies in place that foster wind energy development. Many states across the country have some form of renewable energy standards in place. 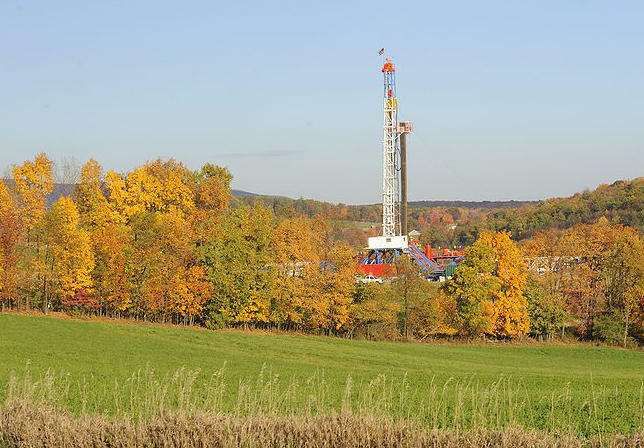 In Michigan, 10% of our energy has to come from renewable sources by 2015. The fastest way for energy companies to get there is through wind energy development. 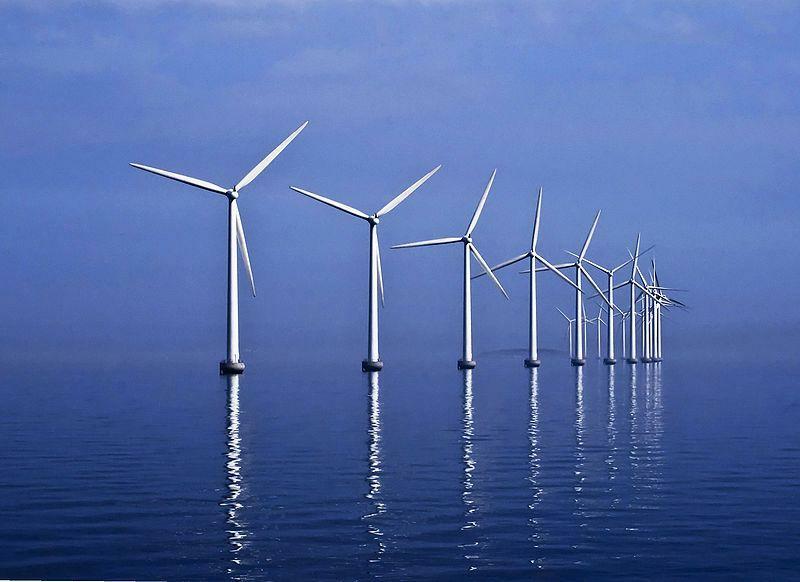 There are no offshore wind farms in the Great Lakes... yet. The Muskegon Chronicle reports that "the first floating buoy to test offshore wind energy in Lake Michigan is planned for six miles off the Muskegon shoreline next spring."